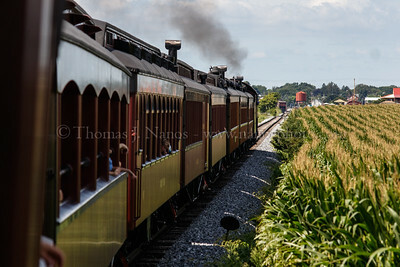 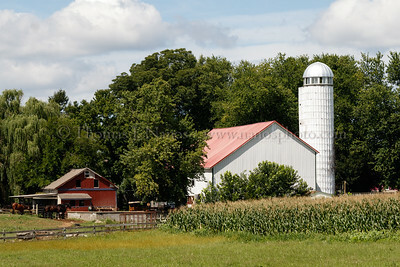 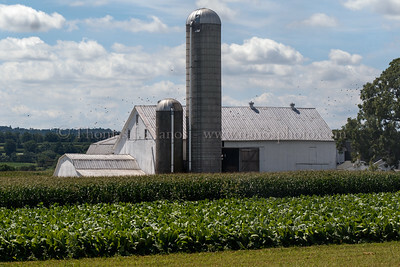 Strasburg Rail Road pulls an excursion train through the cornfields of Strasburg, Penn. 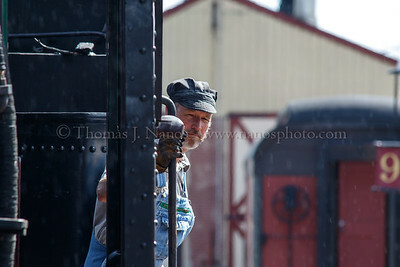 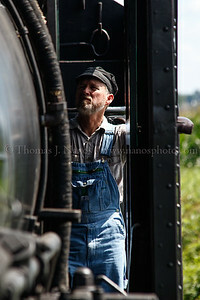 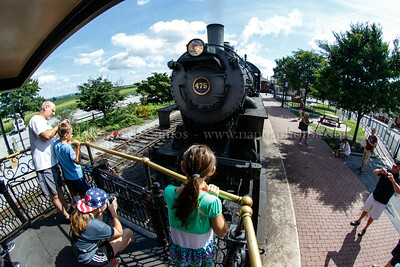 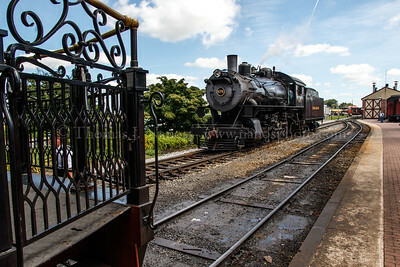 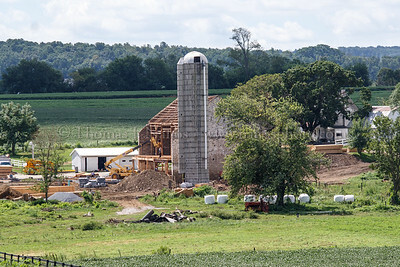 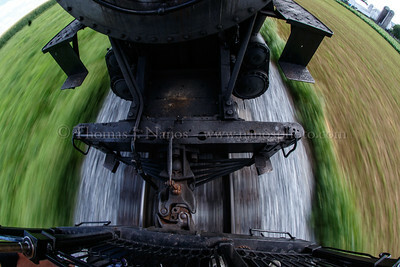 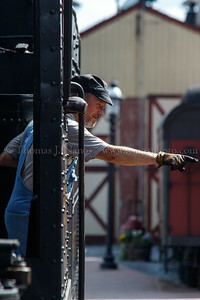 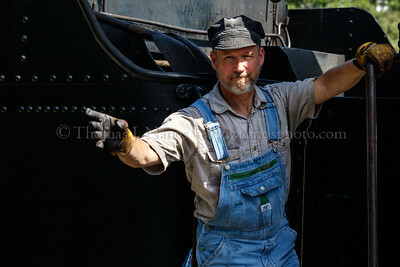 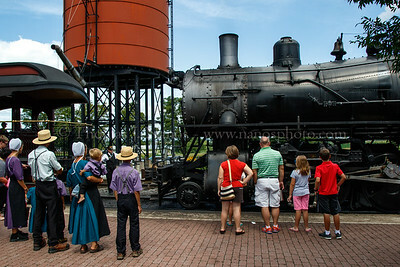 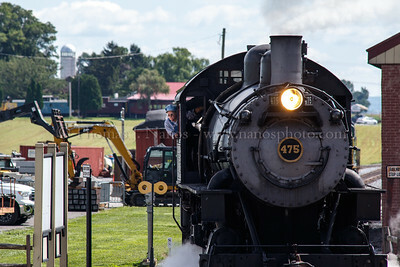 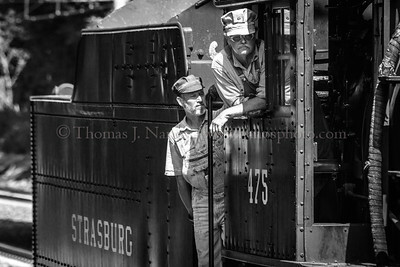 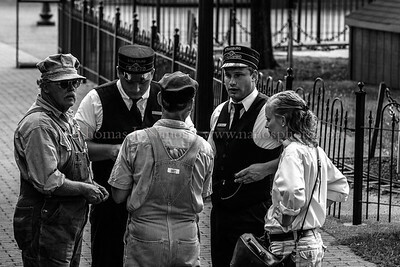 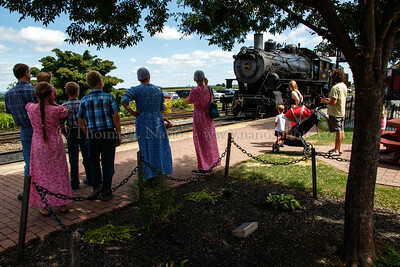 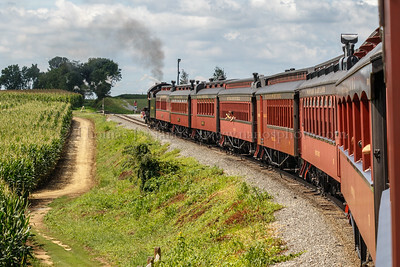 Strasburg Rail Road No. 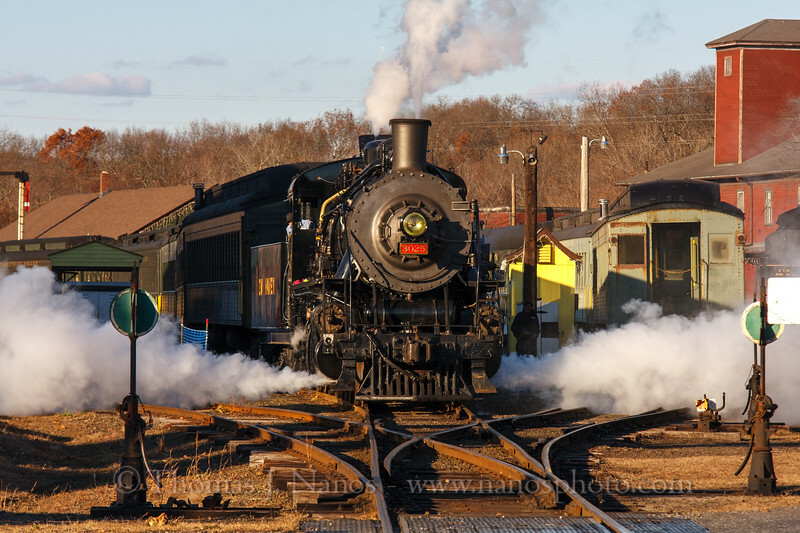 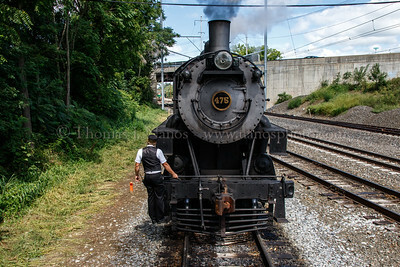 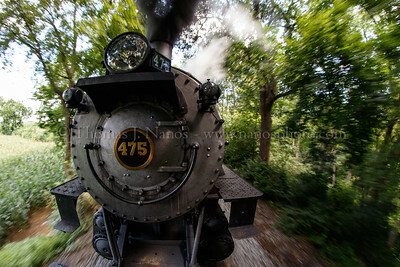 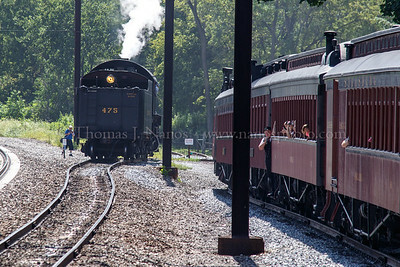 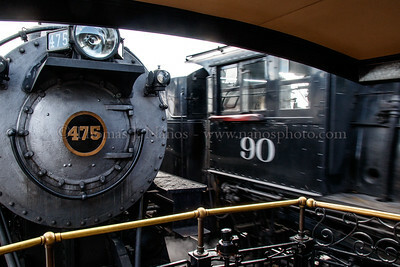 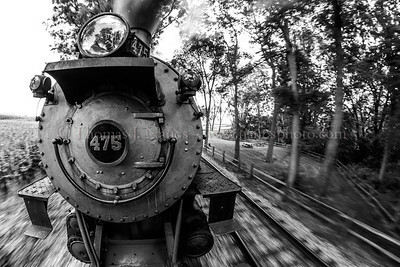 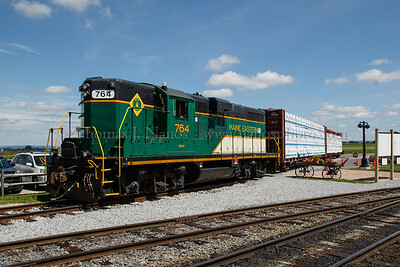 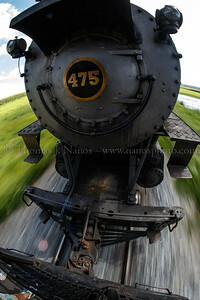 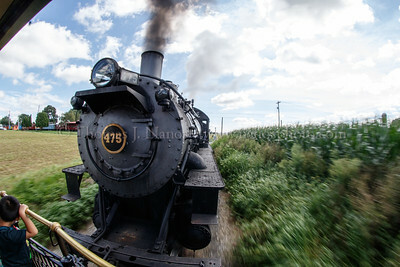 475 pulls an excursion train into Paradise, Penn. 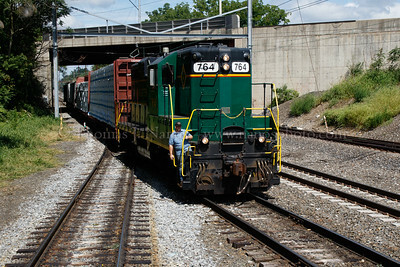 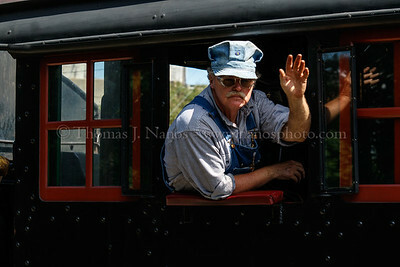 The conductor rides 475's footboard and signals the engineer when to stop, clear of the switch. 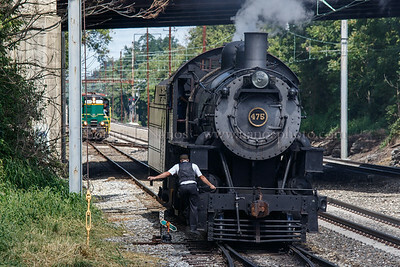 In the background is a freight waiting to approach. 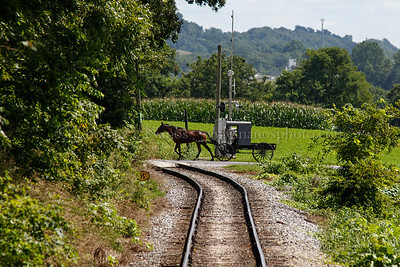 An Amish buggy heads across the grade crossing behind the train.